SEOUL, March 24 (Yonhap) -- The sales of passenger sedans in South Korea dipped last month, while the popularity of SUVs remained unscathed, industry data showed Sunday. According to the data compiled by the Korea Automobile Manufacturers Association (KAMA), 44,171 sedans were sold in the country last month, accounting for 50.8 percent of the 86,932 overall passenger sedans sold domestically. The figure marks the lowest portion ever, the data showed. The portion may dip below the 50 percent threshold this month, industry watchers said. In contrast, the sales of SUVs jumped 14.2 percent last month to make up of a record 44.1 percent of the domestic passenger car market. The decline in domestic sales of passenger sedans came as the automakers focused mainly on SUVs and luxury sedans, not revamping existing sedan models or rolling out new ones. Last week, Hyundai Motor Co., the country's biggest carmaker by sales, unveiled its signature all-new Sonata sedans to expand its presence in the domestic sedan market. The company said it aims to sell 70,000 all-new Sonata sedans in the domestic market this year. 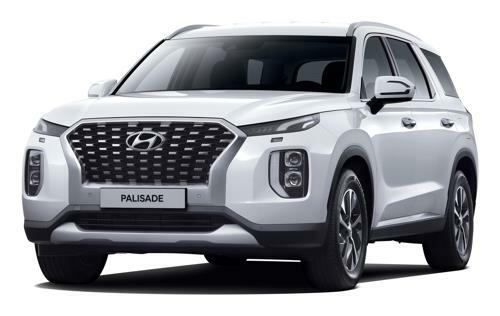 The data showed that the popularity of SUVs still remained unscathed on the back of diversified new models, such as Hyundai Motor's large Palisade SUV and consumers' growing demand. Last year, the number of SUVs sold in South Korea shot up 12.7 percent on-year to 519,883 -- growing faster than any other type of automobile -- to hit a record high level. The demand for SUVs has been increasing over recent years. Some 133,000 SUVs were sold here in 2000, with the figure gradually increasing to surpass the 500,000 mark for the first time in 2018. Industry watchers said sales of SUVs in the country are expected to increase on-year in 2019 as well.